[Update] Users on reddit are reporting that one of the new options introduced in today’s patch, Specular Reflections Quality, makes a huge difference on very high. A comparison gif has also been shared. [Original Story] Rise of the Tomb Raider has just received the first patch for the PC version of the game. This new patch comes with a variety of fixes and tweaks that vastly improve the experience. Among the issues fixed by the new Rise of the Tomb Raider patch are some critical issues like startup issues and a few others. The patch also includes some tweaks and additions based on user feedback that the team could implement in a short amount of time. 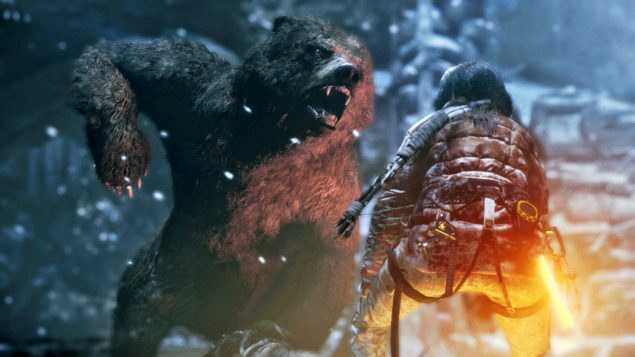 Here are the full patch notes for today’s new Rise of the Tomb Raider patch. The patch is available for both the Steam and Windows Store versions. (Steam only)Fixed SLI glitches during water/snow effects. (Steam only) Resolution Modifier option that allows you to use a lower rendering resolution independent from window size when running in windowed mode. Performance optimization for situations where Razer Chroma features are enabled. (Steam Only) Improvements to Razer Chroma effects. (Steam Only) Fixed an issue that could rarely lead to an error on machines with 16 hardware threads or more. Fixed rendering glitches on some objects on NVIDIA 6×0 and 7×0 hardware. Some issue do still happen and we are working with NVIDIA to resolve those in future patches or drivers. Rise of the Tomb Raider is now available on PC, Xbox 360 and Xbox One.